I've drawn up some sashiko embroidery patterns for the workshop I recently taught, and thought I'd make a few available for download here. 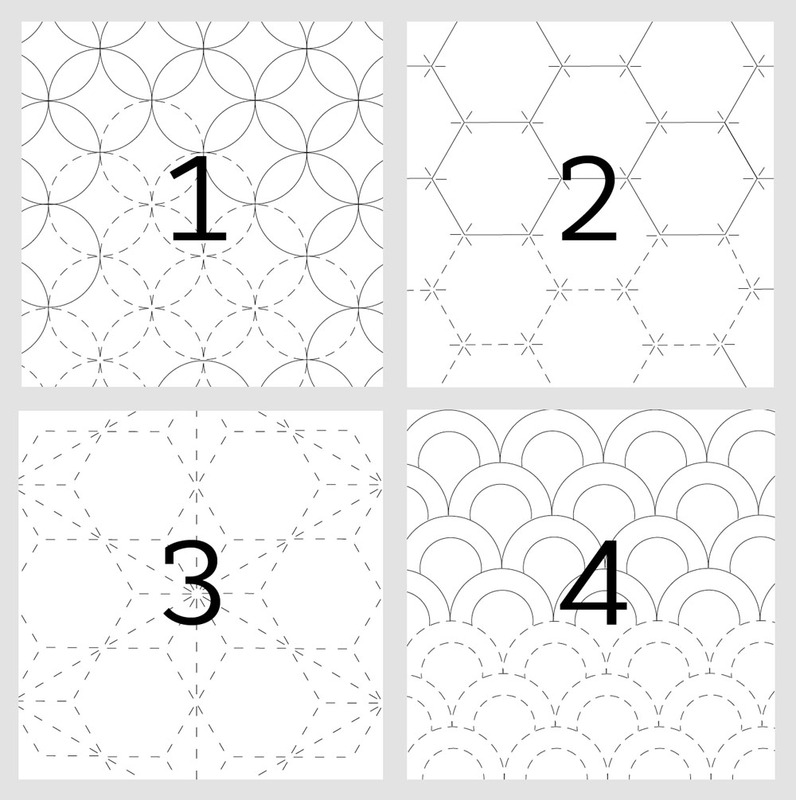 These patterns are based on the traditional Japanese designs of tessellating geometric forms. Each measures 8x8" and can be printed directly onto tear-away stabilizer for embroidering over. This is the perfect size for a little zokin (dust rag), or the pattern can be tiled for a larger piece. I have demonstrated the stitch length and alignment with the dashed lines in portions of each pattern, and once you've gotten the hang of it you can carry on with the correct spacing. The only trick is to keep your stitches even in each line segment, and the intersections clean. These are just a few of the very many beautiful historical sashiko patterns, each with its own story and significance. Enjoy!